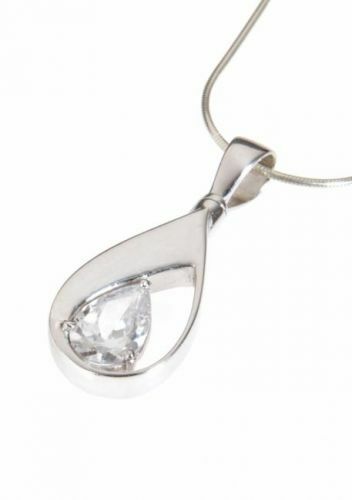 This elegant sterling silver Clear Crystal Teardrop pendant will bring memories to an even more personal level by holding a small amount of your loved ones ashes. The opportunity to choose a keepsake pendant presents itself only once - the comfort it offers lasts a lifetime. The pendant measures 24mm x 14mm and easily seals with a threaded stopper screw. The pendant comes with a matching 20’’ chain. Includes a funnel and instructions to fill and seal the pendant and comes complete with a velvet presentation case.